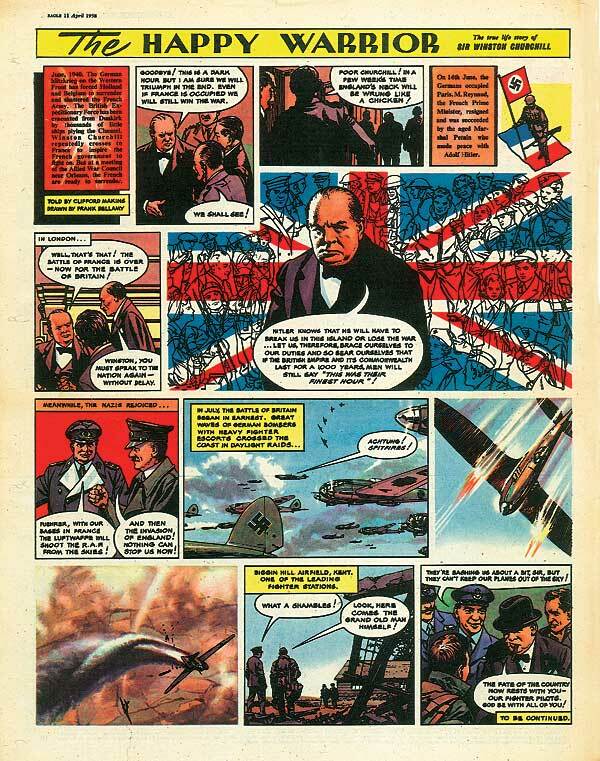 On an early Friday evening 50 years ago, half a million youngsters in England eagerly scooped up the first installment of Winston Churchill’s life story, as depicted in the hugely popular Eagle comic. 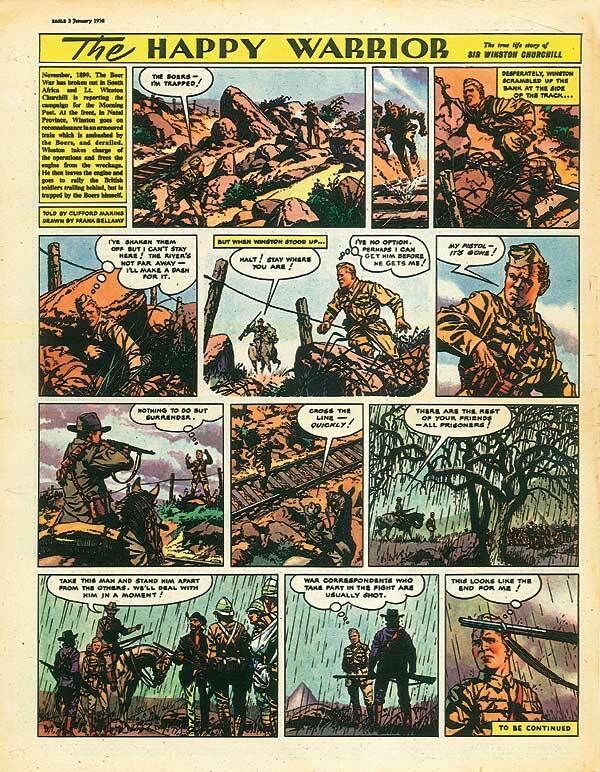 Fifty years later, this series—a forerunner of today’s graphic novel—still captivates. 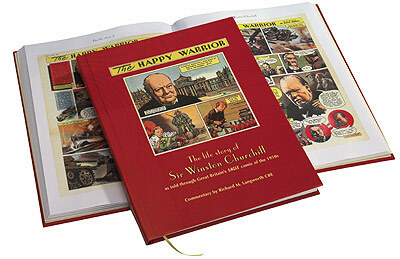 Here for the first time are all 50 weekly installments of The Happy Warrior, as this biography of Churchill was called, exactly as the series appeared in 1957 and 1958. 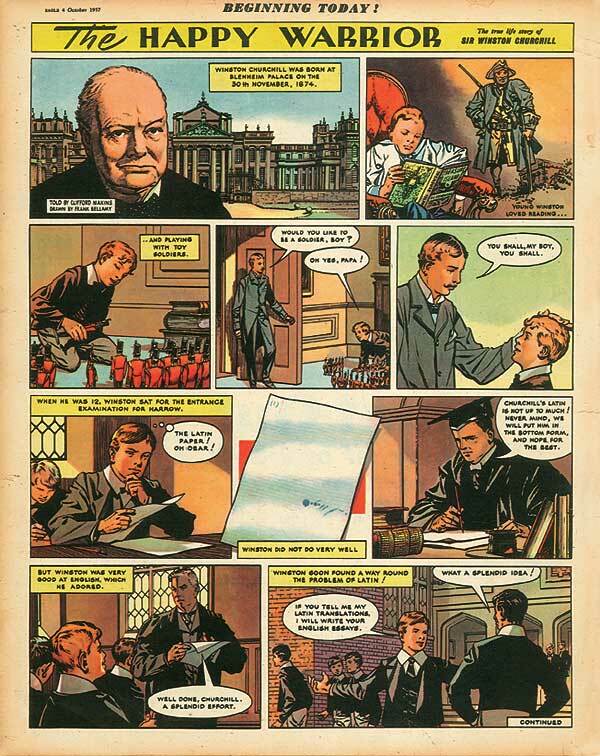 It is a biography that rings true, as Richard Langworth, a Churchill Centre historian, relays in the book’s commentary. Scroll down to enjoy a preview. Images © Colin Frewin and Associates Ltd 2008. From The Happy Warrior by Levenger Press.